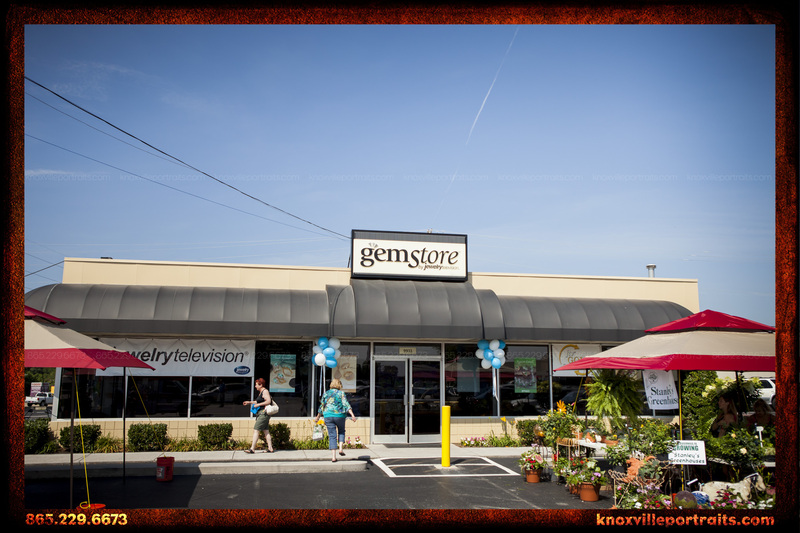 Knoxville Portraits Joins The GemStore and Local Businesses for 'Uniquely Knoxville' • Knoxville Portrait Co.
Last month, Knoxville Portraits had the pleasure of celebrating local small business by joining forces with the GemStore by Jewelry Television at “Uniquely Knoxville,” and event promoting companies who reflect the spirit of Knoxville. 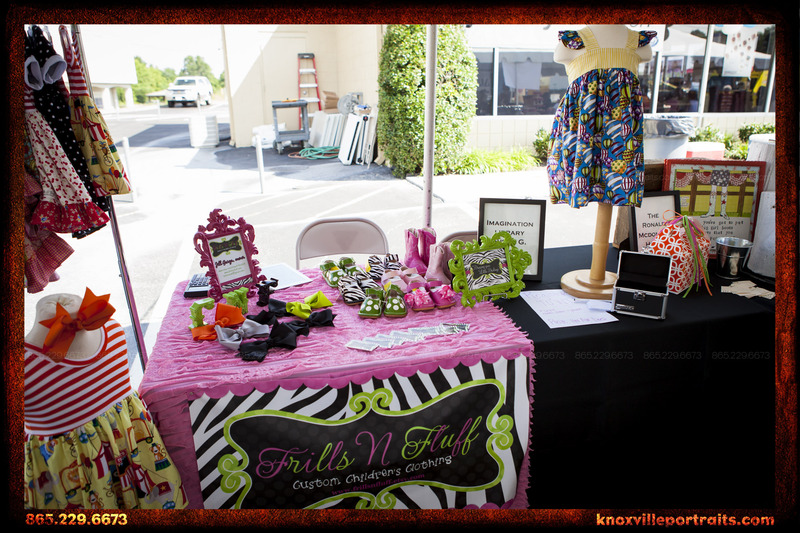 As a Knoxville photography company since 2010, we displayed many of our photographic art samples to attendees, including many samples from our sister company, Knox Wedding Creative, which specializes in providing artistic wedding photographers and wedding videography to Knoxville-area brides. The day began incredibly hot and sunny, and in all of our planning for the incredibly diverse display we had, we didn’t plan for sun! 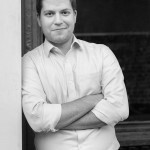 Luckily, a local small business owner Barbara Condon saved us by bringing some sun treatment lotion and sunscreen from Rodan + Fields Dermatologists. We would have definitely had lobster calves without her generosity and timeliness. 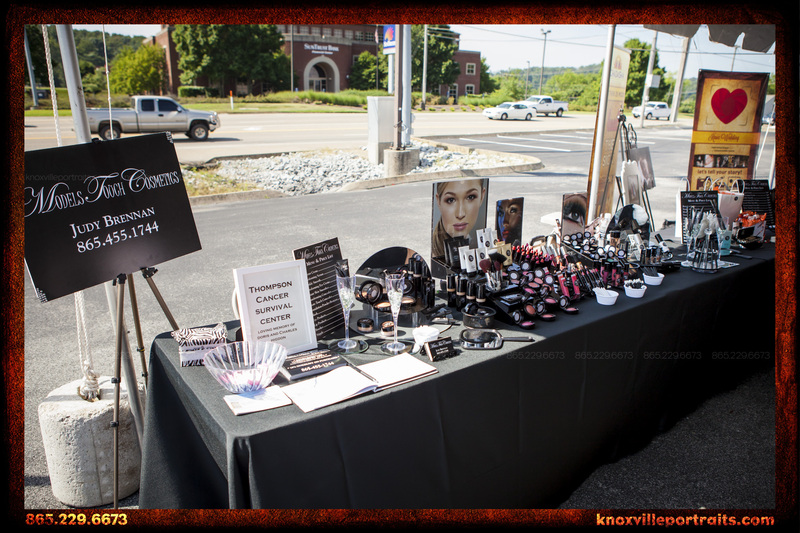 We met many amazing people and local businesses at Uniquely Knoxville, and we actually gave away a door prize of a Family Portrait Experience or Engagement Portrait Experience at the event. 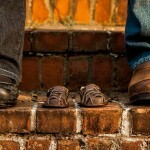 Congratulations to Brian Wilson and his family, as he was the winner of our door prize (valued up to $450)! Unfortunately, the weather did not cooperate all day, and around 1:30pm, the clouds opened up and the event wrapped up early due to severe thunderstorms. 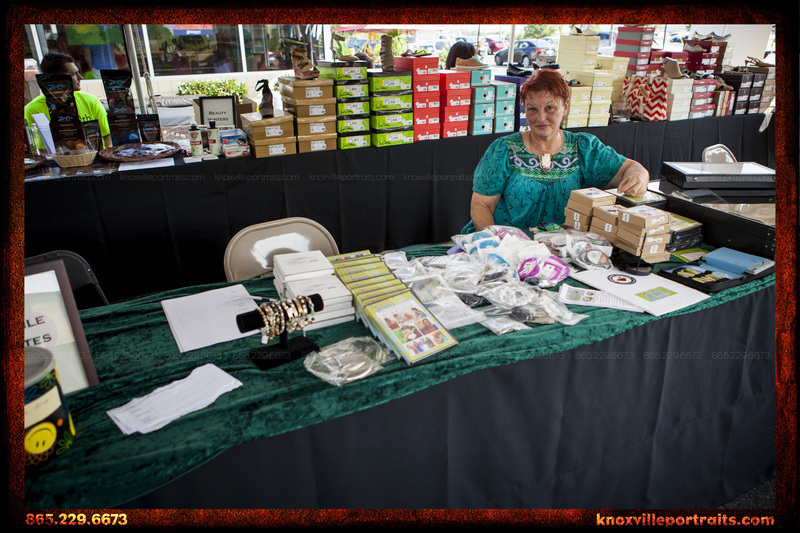 A special thank you to Alice Rotar with the GemStore, who organized the entire event. 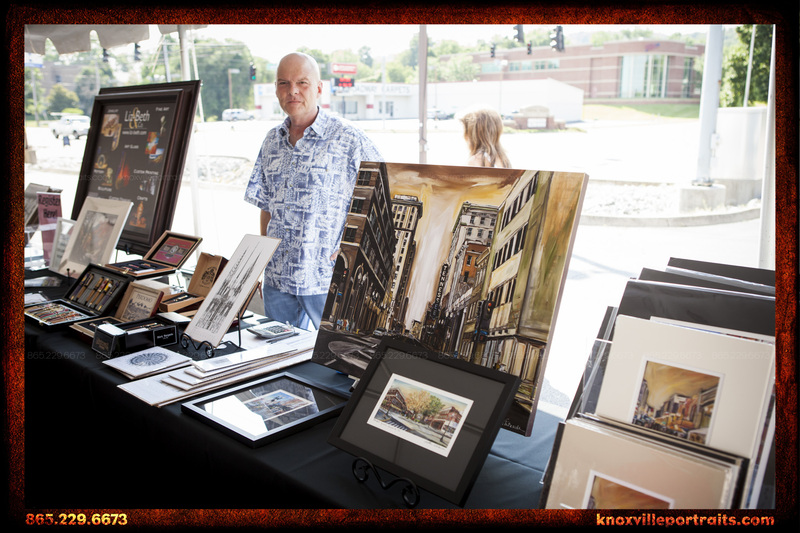 The event was a great opportunity for folks to mingle and learn about new small businesses, and for small businesses to get to know the locals better as well. 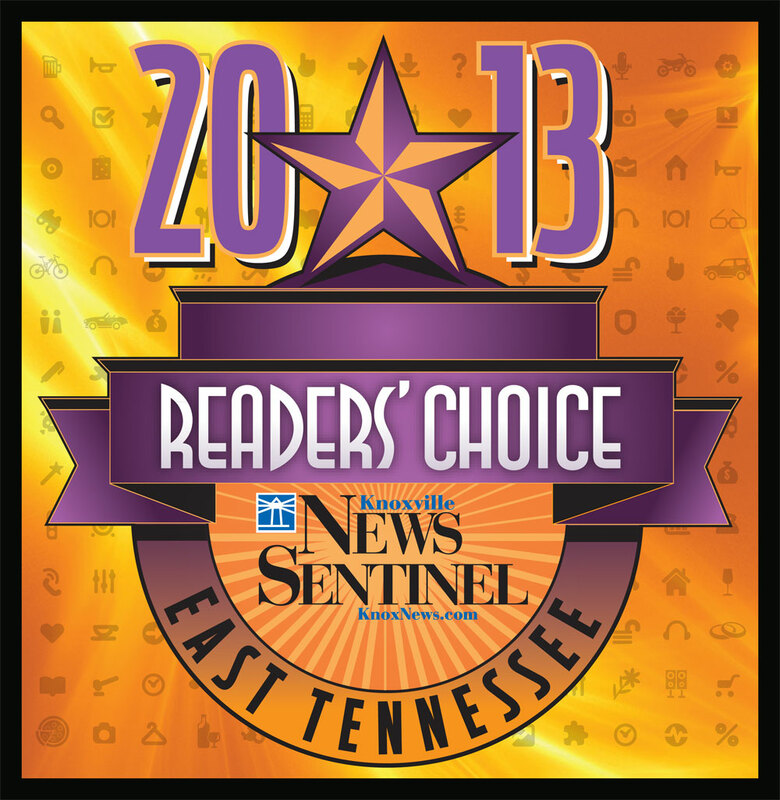 We had a fantastic time and look forward to participating next year! 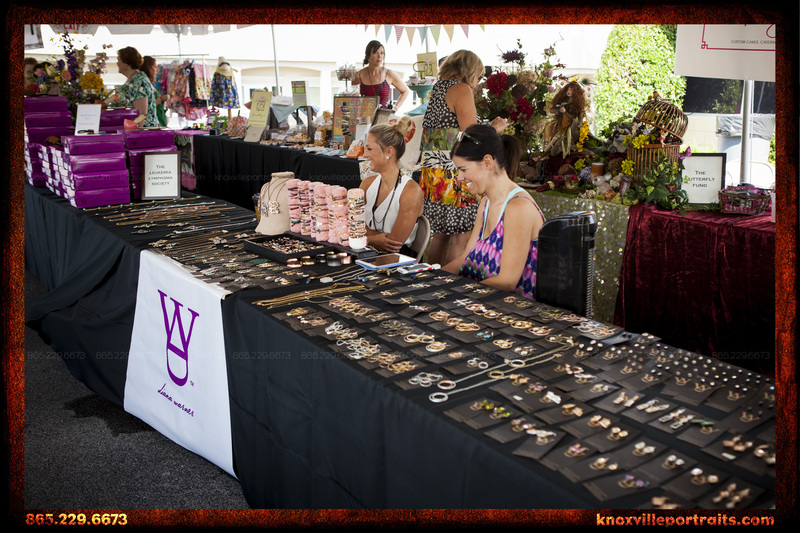 Below, you can see many of the vendors that displayed at 2014’s Uniquely Knoxville event. Models Touch Cosmetics by Judy Brennan had a great variety of makeup and cosmetic supplies that looks great on women of all ages! 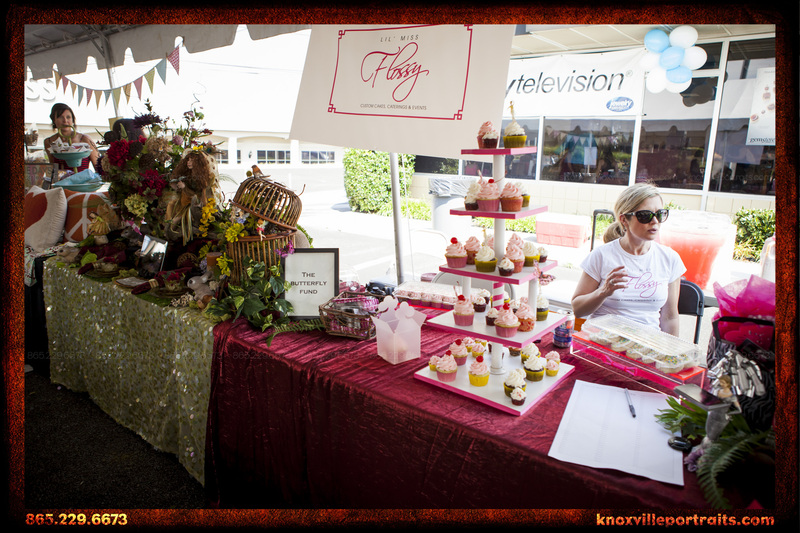 Judy and her staff were incredibly friendly and were neighbors to the Knoxville Portraits + Knox Wedding Creative Booth! 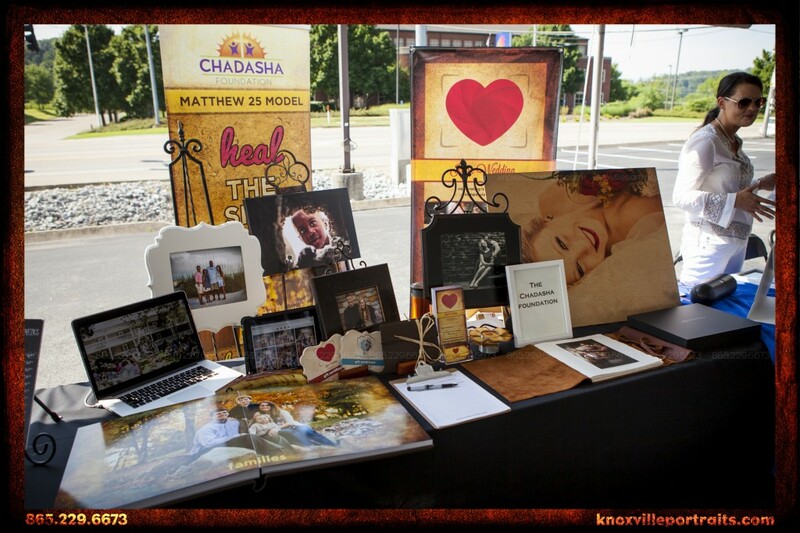 Here’s the Moser Visuals Booth, featuring samples from both Knoxville Portraits and Knox Wedding Creative. We received many comments from attendees who were impressed by our quality of work and variety of products. The Jewel School Institute had many educational tools and a few samples on display as well. Liz Beth & Co. was well represented, displaying gorgeous works of art from dinnerware to wall pieces—and everything in between. Liz Beth & Co. was represented by Gregg Phenicie, who was very kind and helpful with the large variety of products on display. 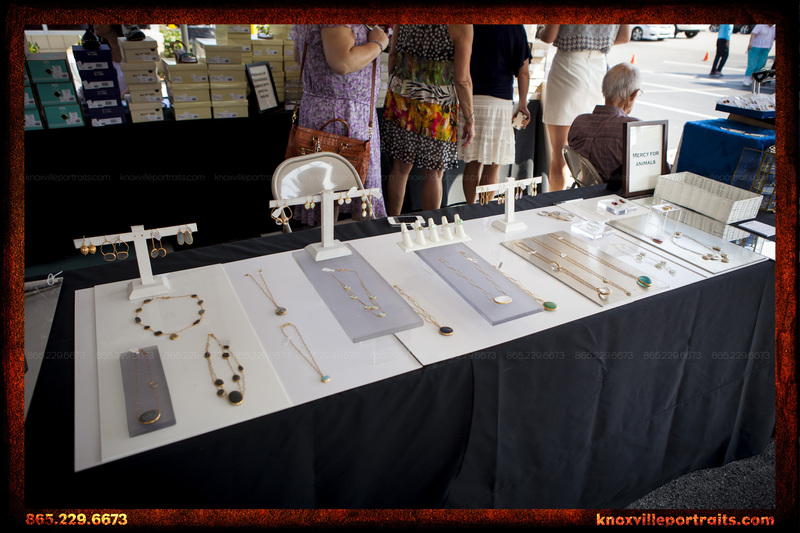 Diana Warner also had an impressive display of jewelry and footwear on display! Looking for gifts? 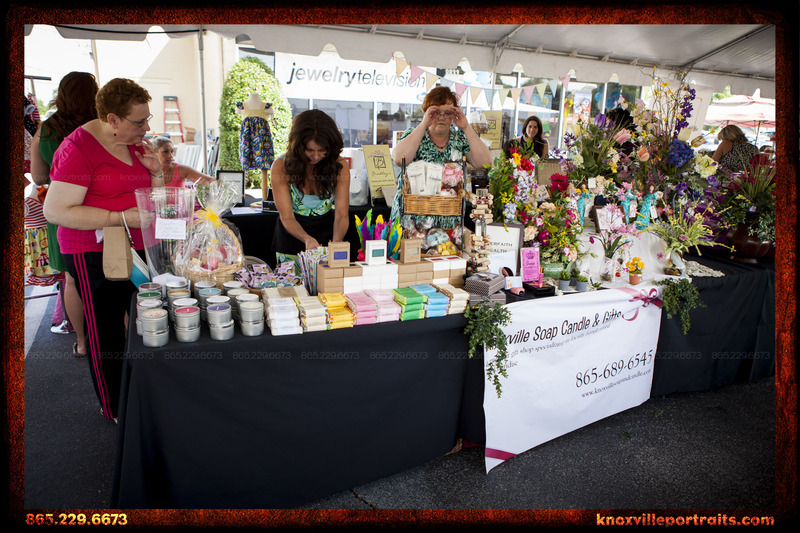 Knoxville Soap Candle & Gifts had many healthy and fun gifts available to attendees. The Health Shoppe had a tempting display of healthy snacks and products on display—including a healthy selection of dark chocolates! Lil’ Miss Flossy, who offers custom cakes, catering, and event decoration, had some delectable treats available next to their woodland themed table. They also provided lunches for all the vendors, and even the simple boxed lunch was delightful! 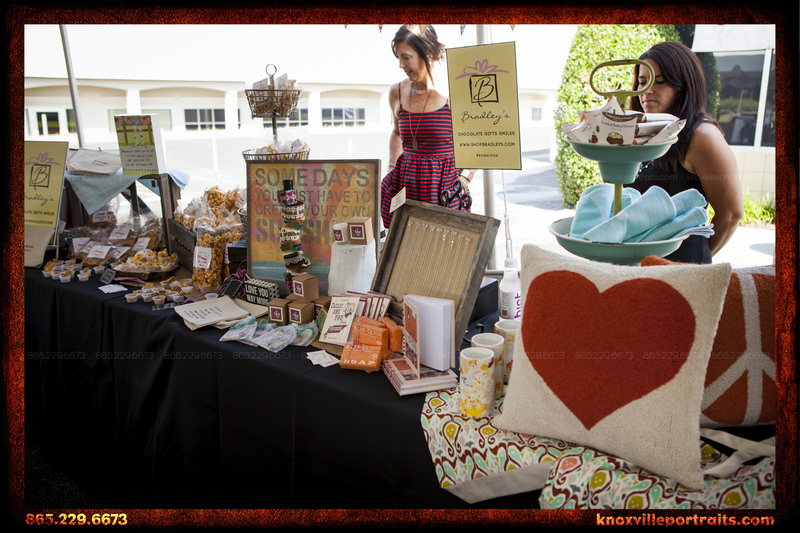 Bradley’s Chocolate and Gifts had a diverse selection of samples and gifts for attendees. 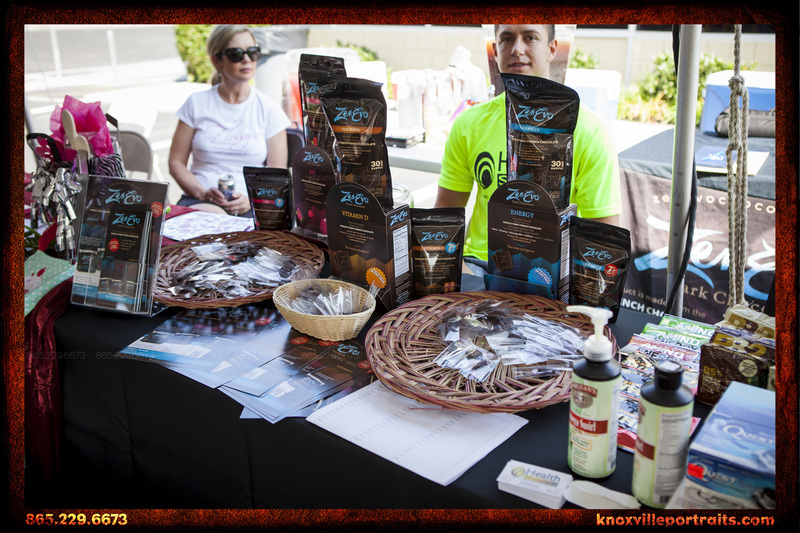 Their spicy brittle was divine—a fantastic blend of sweet and spicy tang! Frills N Fluff had racks of unique children’s clothing available for attendees to browse—from tops to bows to shoes and more! 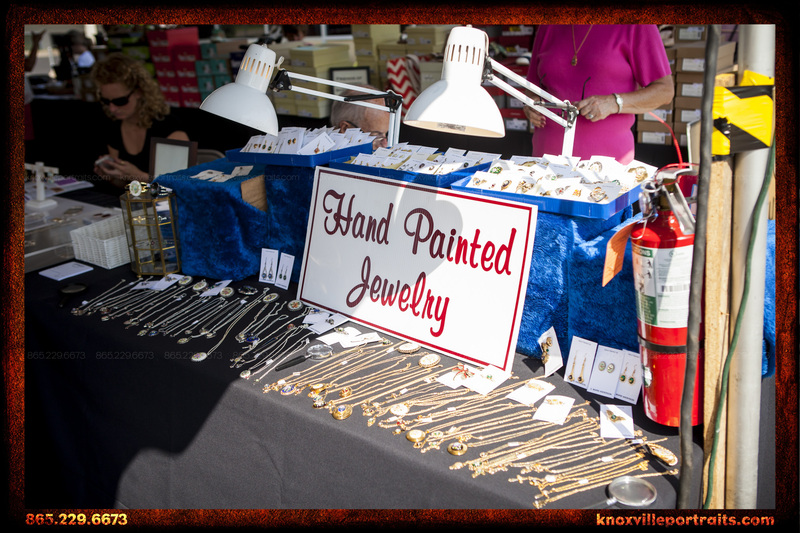 We were impressed with the details in the hand painted jewelry available as well. 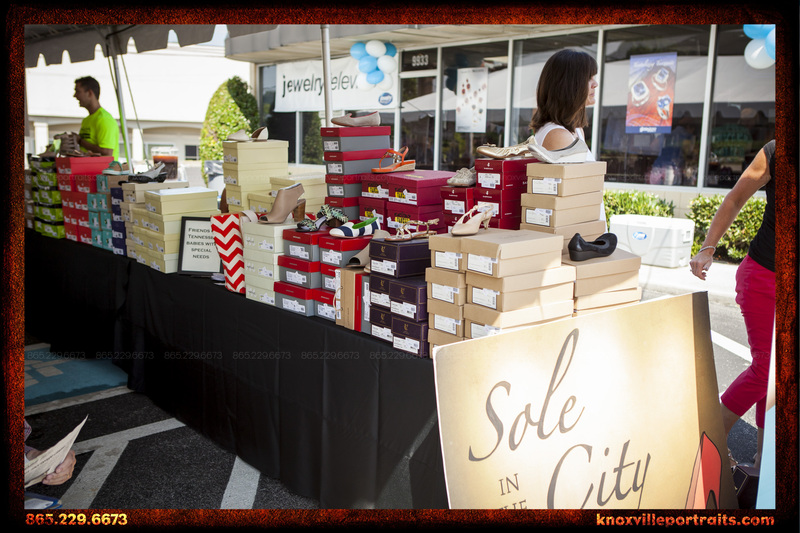 Sole in the City had a variety of footwear to share with the attendees. 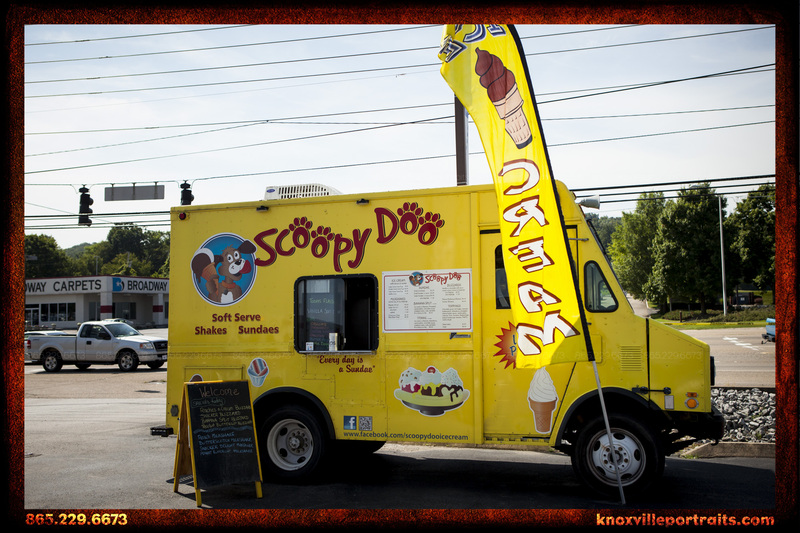 A unique name and concept for the classic ice cream truck, Scoopy Doo provided a relief from the heat for many vendors and attendees! 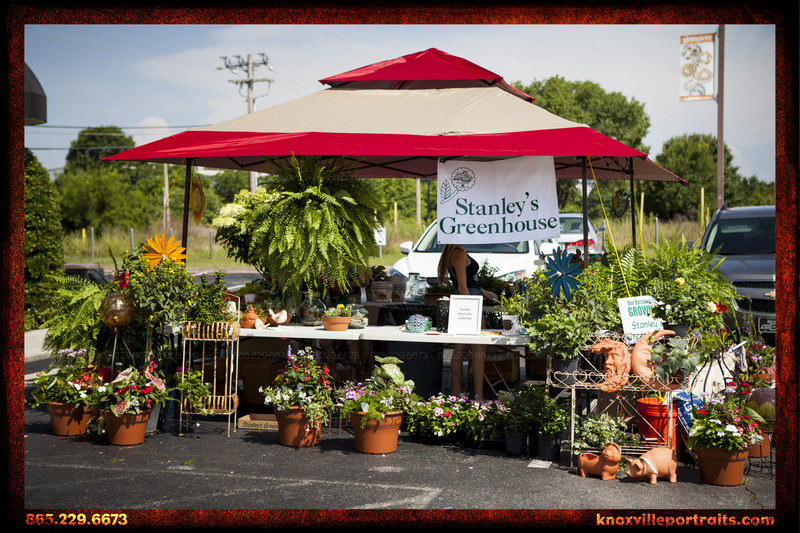 Stanley’s Greenhouse brought an incredible display of plants and greenery to add some spice to any home’s landscape and décor. The GemStore also had many specials going on inside, including giveaways to the first 250 attendees to show up! Aura Med Spa was the neighbor to Moser Visuals on the other side! 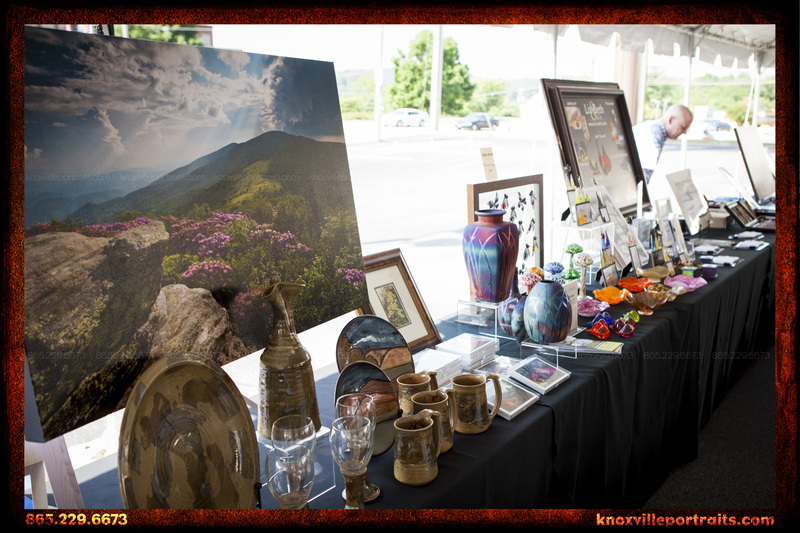 Joyce Jones, director for both the Knoxville locations, was a joy to talk to and very kind and helpful for all patrons stopping by their table—which also included some great door prizes. 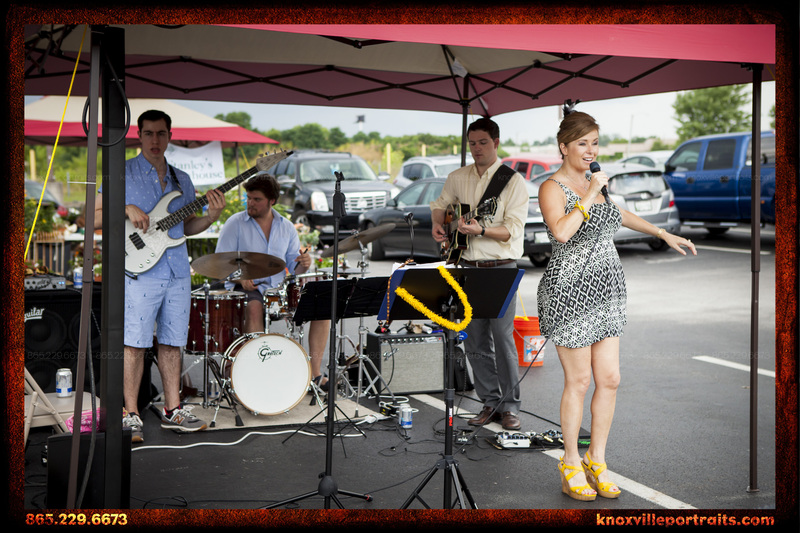 Our entertainment included the beautiful Cindi Alpert and her trio. 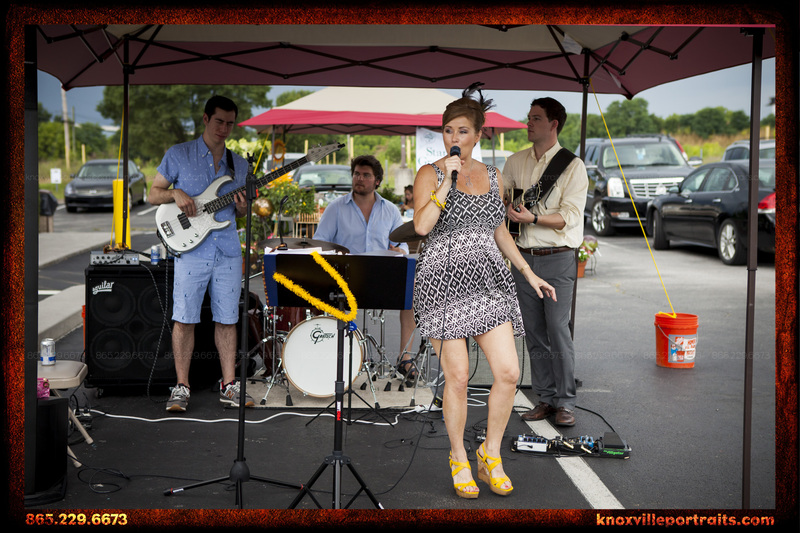 Their set was a great soundtrack to a wonderful outdoor summer event.